I know it might be long winded but please take the time to read my experiences. 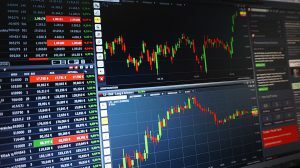 You might be totally new to forex trading or experienced forex in the past but I think you might enjoy my story and it may cause you to take action on your life journey. I want to tell my story of the journey I took to finally become a successful consistent profit making trader in the industry of Forex Trading. It’s been a hard learning 9 years plus experience for me, spending many hours and monies on trying to crack this trading sensation that I fell in love with so much. 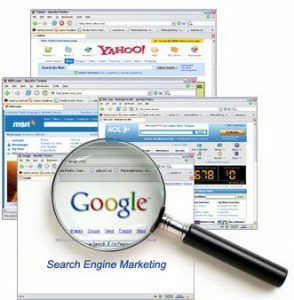 You see, I first discovered that for a small outlay of a $100 to $500 or for Demo trading with no outlay at all, I could start an easy online business with an income. Little did I know that I was going to be in for a shock on how much I would eventually spend to finally get the right recipe, so to speak! I’ve spent countless hours in front of the computer screen watching my charts and scanning the internet for the Holy Grail of systems and strategies to make it in forex. Once I’d blown up a few small accounts (forex term for losing all of your money) I decided that it was time to get serious and start looking for help and mentoring. 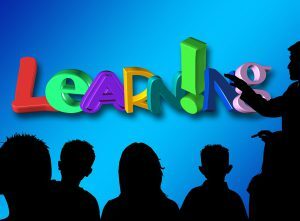 I searched the internet for some reputable courses and attended many introductory seminars and listened to many trading experts with their systems, strategies and plans on how I should be learning to trade and then trading live. You see I had to unlearn my terrible trading habits and start from scratch to get it right. I found my first course (yes I’ve had more than one) that I thought was the right one and I said to myself and my wife (very very patient wife) “right this is it, this is the one baby, I’m going to do it and we’ll be set for life” Well, I have to tell you the course cost just under $6000 and, it was a good course. I received a 6 DVD training program with phone call conversation on chart software set up and also email support and daily trade recommendations that would surely make profit. The trainers were very good and the information that I was learning was sinking in and making sense. Only problem was, I still couldn’t pick those winning trades with consistency. My wife said “I couldn’t even pick my nose”. That’s how bad I was. I was a dummy. After a while my confidence started deteriorating and even the trade recommendations from these so called experts were not hitting targets, only stop loss orders. I started to fall into my bad habits again and “KABOOM” another account gone but this one was a little bigger than the others. So into the dog house for a while until my wife let me out, and she was the one that told me not to give up and keep trying because she knew how much I love this industry. Start again. I went to more free introductory seminars after my work, sometimes straight from work smelling of meat as I was a butcher (always will be a butcher) and some trading exhibitions where there were many companies spruiking their wares in their fancy suits and shoes. There are many courses out there and they all seem to cost around the same prices. So I found one, and I picked it because I watched a video of the owner of the company, a well know trader, show live how one of his strategies in less than 6 minutes made $20000. I was impressed and I thought “I can do that” and I signed on the dotted line. This course cost just under $5000 but I also had to fly to another city to attend a weekend hands on training after firstly watching a 5 DVD set about explaining the basics of forex trading that I already knew. It was pretty good because you couldn’t watch the last DVD until you’d finished to previous 4 as there was a locked code to it. That was good I thought because it showed that these guys really wanted you to focus on the basic before they took you and showed you hands on. Off to the weekend course and my wife and I made it like a bit of a getaway. She went sightseeing for the days and I attended the training. It was great. The strategies made sense and the seminar teacher was excellent. I really felt a connection to his character and things were looking good. We had to sign up for signal data, which I didn’t like, but it was all moving in the right direction. After the last session I was set up with my mentor who would contact me by Skype for 3 weeks straight to see how I was going and check that I was following the systems and strategies and following the trade calls and make sure I was making money. It was all great but then the up selling started. They started saying you can do better with more training and become an Elite Trader, spend a few more thousand (from $5000 to $20000) and you can get better trade calls and better signal services etc etc etc. When I heard this I realised that these guys really made their money from selling their ideas and courses not from their systems and strategies. I felt a little disappointed and let down. I must say that both these courses were very good and their systems and strategies did work at times but they didn’t fit my style, my psychology and time frame for trading at that time. I cannot and will not fault them but would not recommend them to anyone I know as the cost is not worth it in my opinion. I am sure their systems and strategies work for other people but not for me and I didn’t like that they were always trying to up sell me into something else. Then for a number of years I was a bit of a nomad, scanning forums and trying out free systems here and free strategies there with some success but not that consistency that you really need to make forex trading into an income for life. And that is what I wanted and was insistent on wanting to become a SUCCESSFUL TRADER. 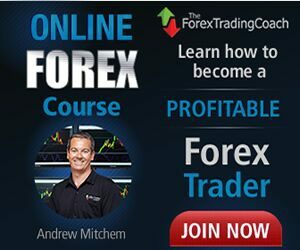 Just by chance I came across Andrew Mitchem and his, The Forex Trading Coach Course on a highly recognised forex website. Forex Peace Army (FPA). These guys are like the policemen against forex scammers and brokers. They also have reviews for courses and trading systems and strategies. Andrew Mitchem has the title of GIANT on FPA and that is a very high honour to be given and not given out lightly. At the time that I found Andrew, I was in a state were my trades were OK but not consistent enough. I was still working and still had trouble finding those A grade trades with the best probability of hitting targets. Also, my gains at times where not as good as my losses, which meant a poor risk to reward ratio. (R:R) you will learn about this in the course. I told him that I had already spent enough on courses and why would his training course be any different. What was so special about him and his strategies? He emailed me back, as he does with every person that contacts him, and just explained the price of his course, (a lot lot cheaper than what I had spent already. You can see details HERE) what you get, his track record of results and not to BELIEVE him but do my own research on him and his reputation. I did exactly that, researched some more. He has weekly free video podcast every Monday with useful information and guidance on how to handle trading psychologically, be patience, little tips and also give his weekly direction of forex pairs but not giving away his strategies and systems. I watched them religiously for months. I was trying to work out his system without spending any more money, cheeky me. 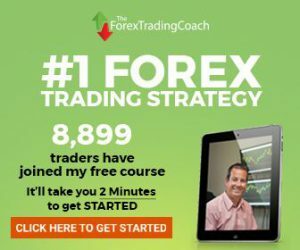 We were emailing backwards and forwards for about ten months before I finally bit the bullet and paid for his, The Forex Trading Coach Course. Andrew and his techie, Mhel, helped me set up his custom indicators on my trading platform and guided me through the set up of the account ready to go through his course. I was in Shanghai at that time and my internet connection was painfully slow. I went through the course which is very simple to follow and understand and whenever I had a question, I would email Andrew and he always responded promptly with the answers. I was LEARNING and at the same time I was EARNING with Andrew’s daily trade calls as part of the service he provided. I have been trading with Andrew Mitchem’s system and strategies now since December 2014 and my trading has improved so much that my forex trading is one of my main online incomes. Once my wife and I moved to Doha Qatar, I stopped working all together but before that when we were in Shanghai; I was working part time, trading and online blogging. I’ve been a successful trader now since 2015 as I picked up Andrew’s system quite quickly, I guess because I had a little experience with my years of trying. 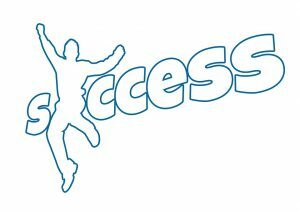 My accounts have been growing steadily and I started to add more funds as my confidence and winning routines fell into place. 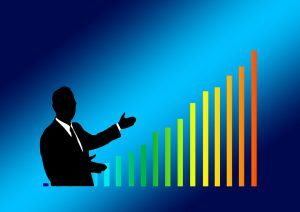 Andrew discusses how to gradually increase your account in his weekly webinars and training as you develop into a successful trader. Just like a savings account but working harder and earning better interest % returns. Andrew’s daily trade calls have averaged over 36% over the last 7 years with his best year hitting 97.95% and the worst year 3.14%. That’s a lot better than your retirement fund earnings or any bank account interest anywhere. Other traders may think these returns are low and quote much higher % returns but I can tell you from experience these guys trade with much HIGHER RISK and they get their accounts wiped out very easily when things go bad. Andrew’s system is a safe, consistent, time saving way to trade with proper money management which is one of the biggest catalysts of why so many people FAIL at trading. I know…I’ve done it…but not anymore. You can see some screen shots of my trading accounts by clicking HERE. This will take you to my review of Andrew’s, The Forex Trading Coach Course with details about the course. Well there you have it, I’m pretty much done. 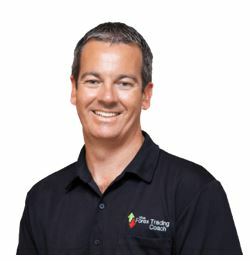 So to summaries, I have tried many trading courses before, some free and some paid for as above but I am only ever going to recommend Andrew Mitchem and his “The Forex Trading Coach Course”, because he and his course have changed my life and my family’s lives forever. I cannot thank Andrew enough for turning my forex trading around and turning me into a forex trading success with a successful career at home. I was reluctant to outlay money for another course but I’m glad I did and I have recovered the cost of Andrews’s course and the others I paid for well and truly. I have been asked to trade for other people but I am not quite ready for that and need to work out how to set it up correctly and decide if I really want to do that anyway. But…like Andrew said to me, DON’T BELIEVE ME…contact Andrew yourself, tell him that John (Jalby my forum user name, he will know who I am for sure) put you onto him and his course and he will talk you through on how to become a SUCCESSFUL FOREX TRADER with a business that can generate your online income for life. You don’t have to start with a big amount of money for your first account but once you get the confidence, consistency and winning habit routines you can add to your account or just let it grow as a part-time extra income. That’s what I did at the start. If you’re new or you’ve never heard of forex before this is the perfect start to learn. Start straight away with good trading habits with a great teacher and mentor. Andrew also recommends which brokers he uses and can help you set all of that up when you sign up right at the start. 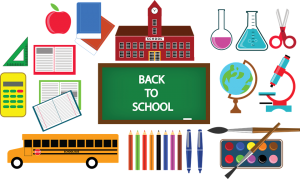 I encourage you to pay for the education as you would for any investment or any task, hobby that you want to do. You’d do it for a gym membership to learn how to train properly, why not learn how to trade properly and then think about using that knowledge to set up your retirement. Do it and remember this saying “It’s a walk to WEALTH not a race to RICHES” not my saying but I heard it from some clever trader. “Andrew Mitchem and his, The Forex Trading Coach Course” to learn how to be a successful trader like me. If you don’t want to go to Andrew’s website and just want to read my review and what you get on Andrew’s course, click HERE and be taken to my review page with all the details of what’s in the course. Don’t forget to tell him that I sent you and he will look after you. I’ll see you in the forum if you decide to sign up. Thank you for being so transparent. While it was quite the learning experience, I felt like I was on the journey with you. What you have shared is helpful to others on this road to success. Once again, thank you for sharing this information. I wish you the absolute best. Hi Yvette, and thanks for reading my story. Yes it has been a very bumpy journey. My wife is my hero and she has always inspired me to improve myself and have a go. Not only me, a lot of other people too. Transparency is the way I am. If you’ve read my About Me page you will know what kind of a person I am. I just want to share my experiences in forex and perhaps save some other people a lot of time and pain that I went through to become a successful trader. By all means if you’re looking to forex to earn even a part time income I can’t express enough to educate yourself with Andrew. Feel free to contact him and tell him I sent you, he will look after you. And just to let you know…it is a fact that ladies make the best and careful traders in all forms of investment…because they really FOLLOW the rules, systems and strategies to a tee. Your story is truly amazing. Your hard work & dedication paid off. Congratulations! I’ve always been interested in trading & have looked into it. If you don’t know what you’re doing this can be quite risky. I will admit I don’t know what I’m doing but that doesn’t mean I’m not willing to learn & perhaps one day earn income via Forex Trading. 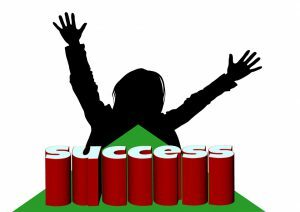 You went through several trials, tribulations & spent quite a bit of money before you found success. What impresses me is the fact that you didn’t give up & your wife didn’t give up either. That takes a lot of will power, dedication & commitment. You’re a real success story & a true example for all of us to follow. Thank you for sharing your amazing & empowering story! Hi Daniel and thanks for your visit. Yep trial and tribulations is right for sure. I can honestly say if it wasn’t for my wife’s support and finding Andrew’s course I probably would have quit. But fate favours the brave as they say.